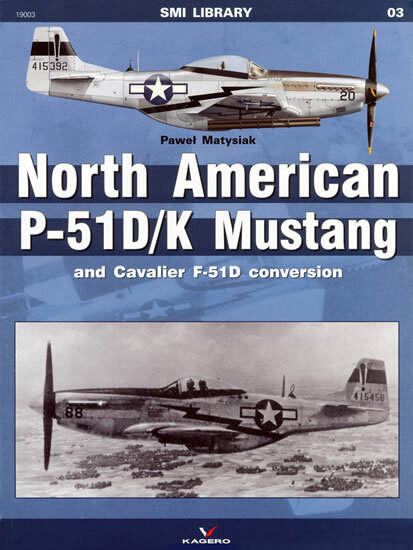 One for the modeller and ardent Mustang enthusiast! The SMI Library is yet another series of books in the Kagero range. To date, the series comprises just three books and this one is number three. 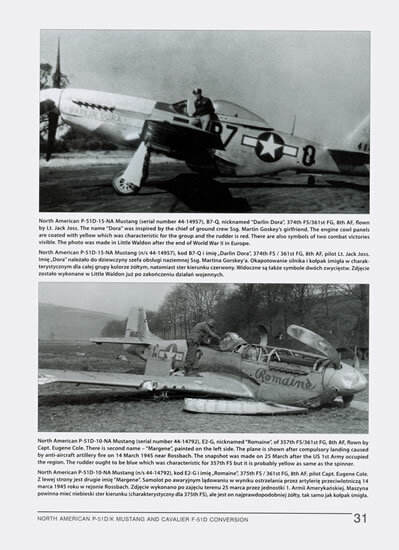 The SMI Library is basically a “picture book” in that it does not contain chapters, just captions to the images within the covers. 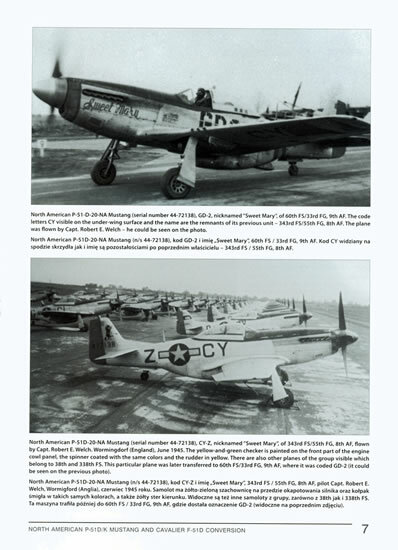 The captions are in both the English and Polish languages with the English language ones first. The pages measure 275mm long by 205mm wide and there are two images per page which allows each image to be fairly large. There are 123 images in all, 12 of them in colour and all of them are period images, with none are being restored machines which is a boon if you are after reference. A word about the images; they are not as sharp and clear as you would hope. Whether this is a result of the printing process or the fact that the originals are not the most “posed” of images I don’t know but suffice to say that they could be better. 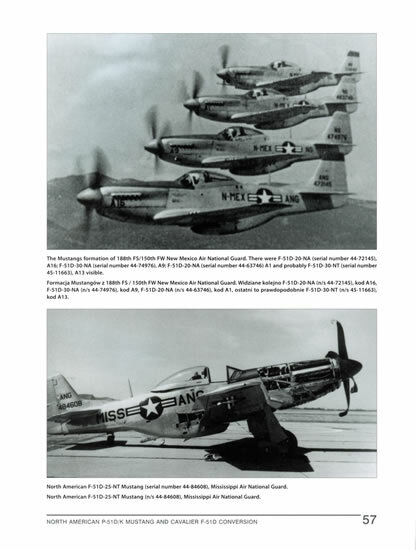 The spread of images is pretty much biased toward the D/K version of the P-51 (I could only find three images of a Cavalier conversion. World War Two figures prominently with the majority of those being European Theatre machines. 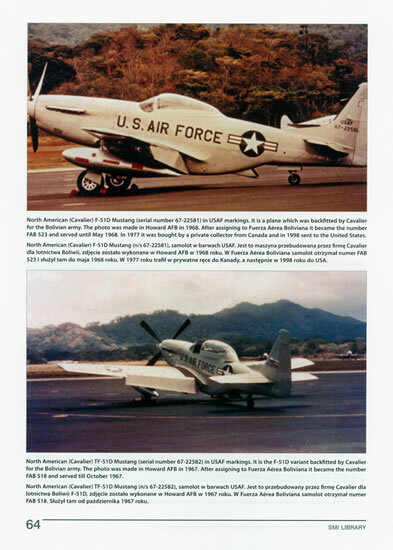 Korean based machines are there but not that many of them and post war Air National Guard birds get coverage too. 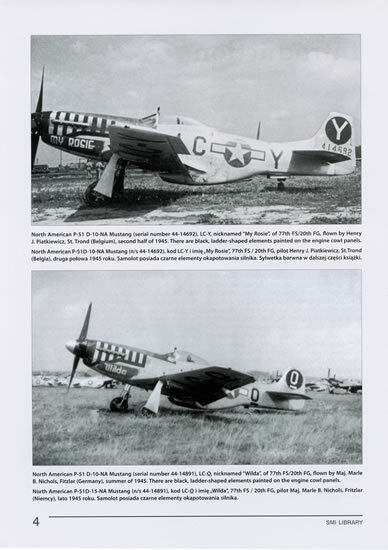 P-51D-15-NA 44-14955 "Dopey Okie" flown by Lieutenant Karl K. Dittmer of the 487th Fighter Squadron 352nd Fighter Group in Belgium, 1945. The machine is in overall natural metal finish with the squadron’s blue nose and rudder markings. 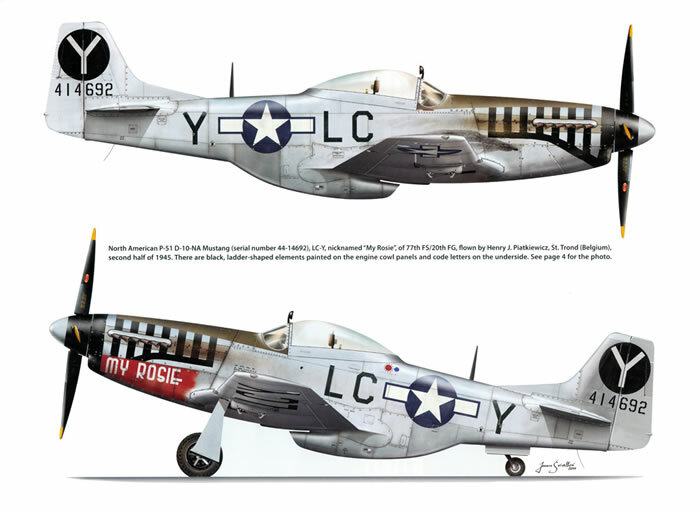 P-51D-20-NA 44-63497 "Angel’s Playmate" flown by Captain Bruce W. Carr of the 353rd Fighter Squadron 354th Fighter Group in 1945. In overall natural metal finish with a yellow spinner/front to engine cowling. 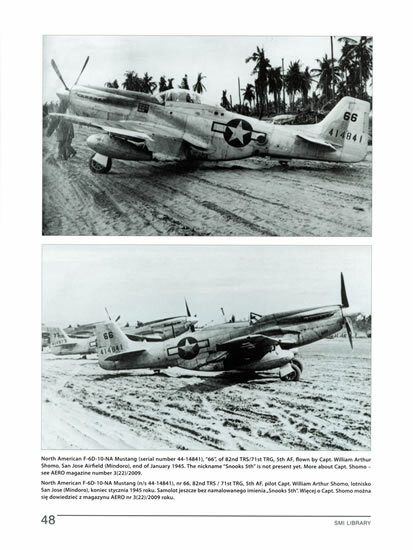 P-51D-5-NA 44-13712 "Reluctant Rebel" flown by Major Robert W. Foy of 363rd Fighter Squadron 357th Fighter Group in July 1944. 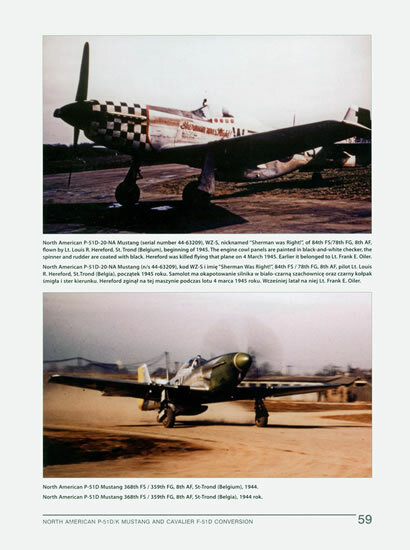 An early P-51D sans the dorsal strake, it is finished in dark green upper surfaces and light grey undersides with white theatre recognition markings comprising bands around its wings and horizontal stabilizers, spinner and front to engine cowling. 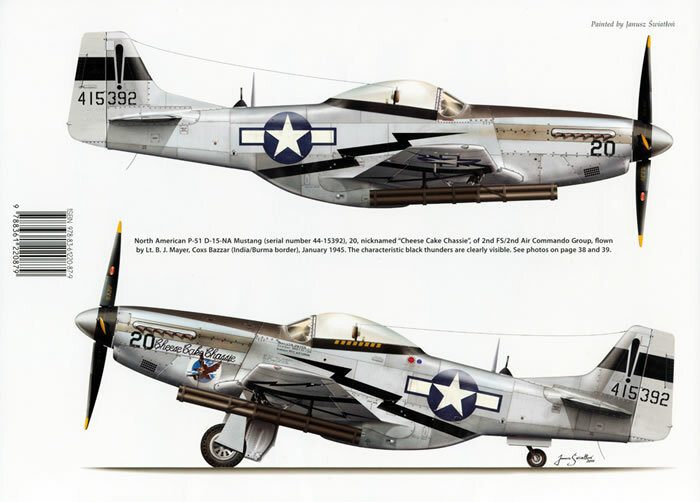 P-51D-15-NA 44-15392 "Cheese Cake Chassie", the sole Pacific Theatre machine on the sheet. It was flown by Lieutenant. B.J. Mayer of 2nd Fighter Squadron, 2nd Air Commando Group from Cox’s Bazaar on the India/Burma border region circa January 1945. 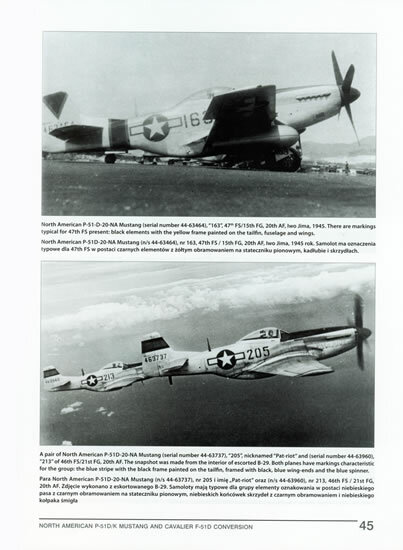 It is in overall natural metal finish with striking black thunderbolt markings on its wings and fuselage. 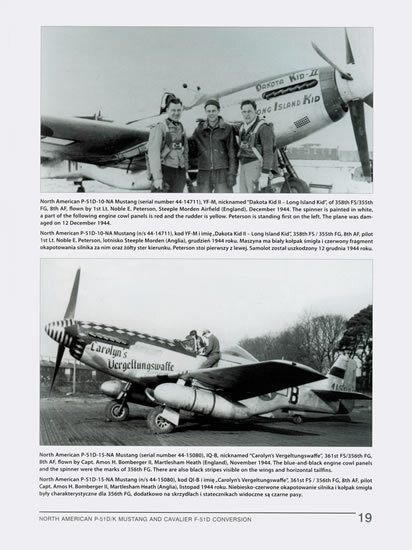 The nose art, serial numbers, exclamation marks and plane in squadron numbers are included but you are on your own for the thunderbolt markings as they are not supplied. The decals themselves have been printed by Cartograf. Whilst the individual markings are provided, you don’t get national insignia or stencil data for any of the options. You also get top quality colour artwork (by Janusz ?wiath?o?) for six machines. 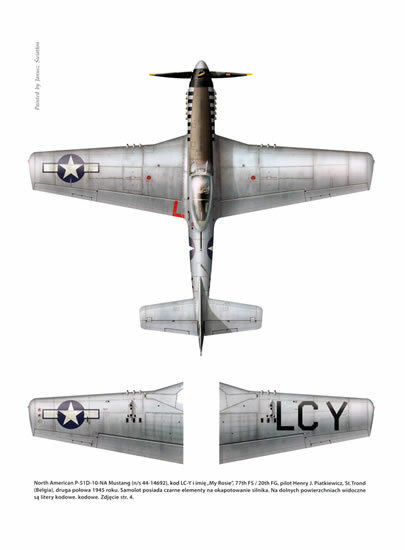 Each aircraft is afforded two pages showing the left and right hand sides of the fuselage as well as upper and lower surfaces. The decal options (above) are featured as well as two further machines. The book is soft bound, measures 275mm by 205mm and comprises 76 pages in all.